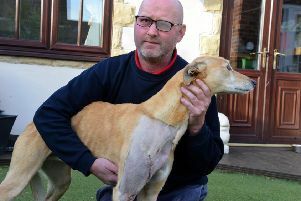 Councillors in Sunderland have called for a “bigger push” against waste crimes after figures revealed only ONE dog fouling fine was issued in a year. Since 2017, Sunderland City Council has backed a new environmental policy after calls to take a tougher stance against litter bugs. This includes education notices, fines and prosecutions for waste offences, extra staffing and more recently, powers to seize and crush vehicles used in fly-tipping offences. According to new data, since April 2018, the council has clawed back £9,000 from environmental fines including 35 for fly-tipping, 14 for litter and one for dog fouling. The council’s Conservative group have now called for a “bigger push” to tackle the issue. Group leader, Coun Robert Oliver, said: “These figures show that not enough progress is being made in Sunderland to deal with dog fouling, litter and fly-tipping despite increased resources. “Other councils in the North East, with the same funding formula, keep the streets clean but too many parts of this city are dirty. He added: “In Sunderland the lack of fines means a lack of revenue for the council’s coffers and a continuing expense to clear up the mess. City Tories previously made calls for the council to increase revenue from fines in their alternative budget for 2019/20 – which they claimed would save £100,000. But Labour bosses have hit back, stressing the council is continuing to invest into front-line services and enforcement. This includes a recent announcement to set aside an extra £300,000 towards a ‘deep clean’ of the city centre. More bins, spot fines or wardens on the streets - What do you think would help clear up dog mess in Sunderland? Cabinet member for Environment and Transport on the council, Coun Amy Wilson, said: “Last year, this council put an extra £1.5million into its front-line environmental services, including a range of enforcement measures. “And this year the council is again investing in these services and again stepping up its enforcement. “The council continues to remind residents about their responsibilities through education, awareness and enforcement, with more fly-tipping and littering prosecutions and fines. On dog fouling, Coun Wilson added: “Council staff speak with dog walkers to discuss issues, to educate them or take action against the irresponsible and anti-social owners who ignore their community responsibility to clean up after their pets. “In the last four years, the council has sent out more than 400 warning letters to householders about dog fouling. 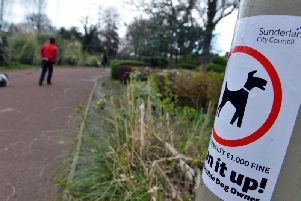 A person breaching a dog control order – which includes dog fouling – could face a fixed penalty of £80, which is reduced to £50 if paid within 10 days.